*New DeathMatch & Meatgrinders + 1/1's and "out of the vault" past figures! The Ninja Five Star Toy Sofubi Debut! 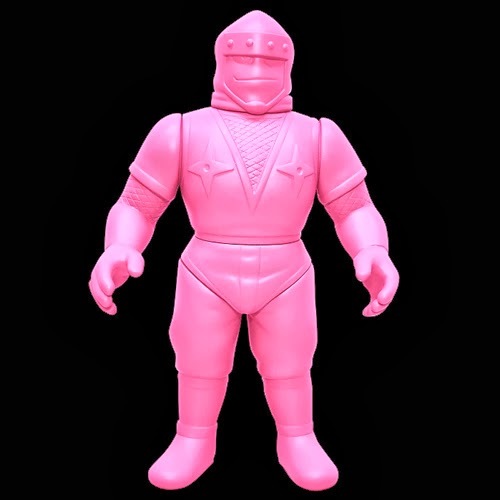 The Ninja "Toyful Pink Version"
Kinnikuman items galore: Vintage, Vinyl, Kinkeshi, Romando, Microman, Gashapon etc. English Inquiries, PayPal and Overseas Orders (via email only) are Welcome! As previously mentioned on Nama Niku, Kaikodo is without a doubt one of the most impressive toy resellers I have ever visited. I stopped by the shop last week as part of my yearly Kinnikuman Japan pilgrimage, and was graciously given permission to snap pics! I give Kaikodo major street credit for exclusive collaborations with companies like Y.MSF and Romando. It is also the only place to get your hands on a super limited run of Romando x Kaikodo Kinnikuman vinyl figures. (10 figures in all, hand painted and Made in Japan). Kaikodo's owner, Yutaka-san, speaks English and just so happens to be a huge seller on Yahoo Japan Auctions. 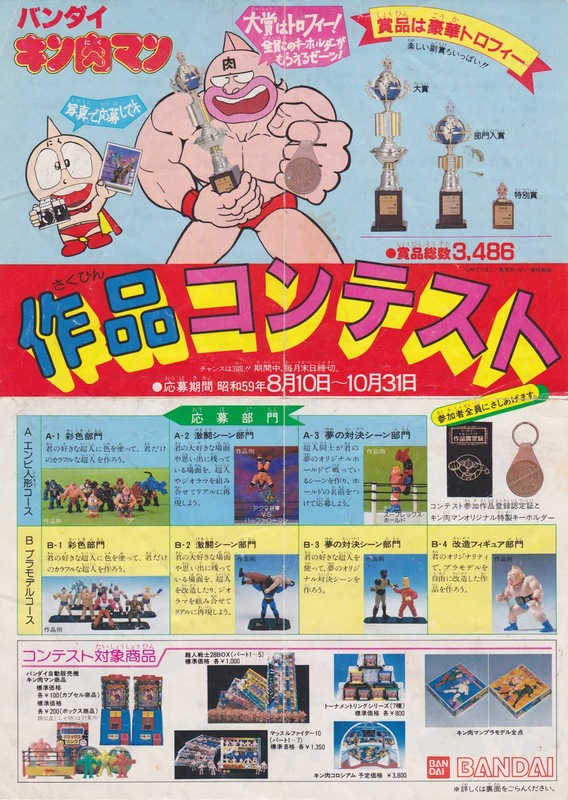 You can email them directly to inquire about any of their exclusive Kinnikuman figures, in store items (examples shown in my pics), or any of their current Yahoo Japan auctions. In many cases they can sell their Yahoo items to you directly (outside of Yahoo) if they are still available. Inventory changes on a daily basis, so let them know if there is a particular item you are looking for. Check out these pics of all the amazing toy lines they carry ~ Happy shopping, and be sure to tell them Nama Niku sent you! New Kinnikuman Shop + GOCCODO! The Master with many of his most recent designs! I had a great surprise on my last visit to the shop, when I met up with BamBam88 super designer extraordinaire GOCCODO! 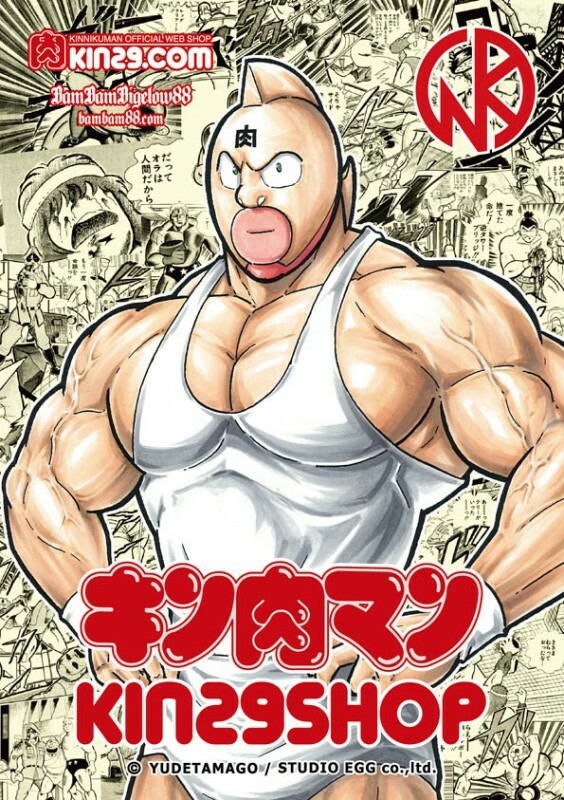 According to Ikegami-san, Shigeta-san (GOCCODO) has designed around 15 or so Kinnikuman T Shirts, with his recent efforts making the bulk of the new crazy rad KMA series. In addition to being an incredibly talented sketch artist, GOCCODO is also very well known and respected for his work in the sofubi world. It was a real honor getting to talk with him for a while about Kinnikuman, design work, molding and casting, and my favorite subject, Kinkeshi! Many thanks once again to Ikegami-san and the whole BamBam88 crew! 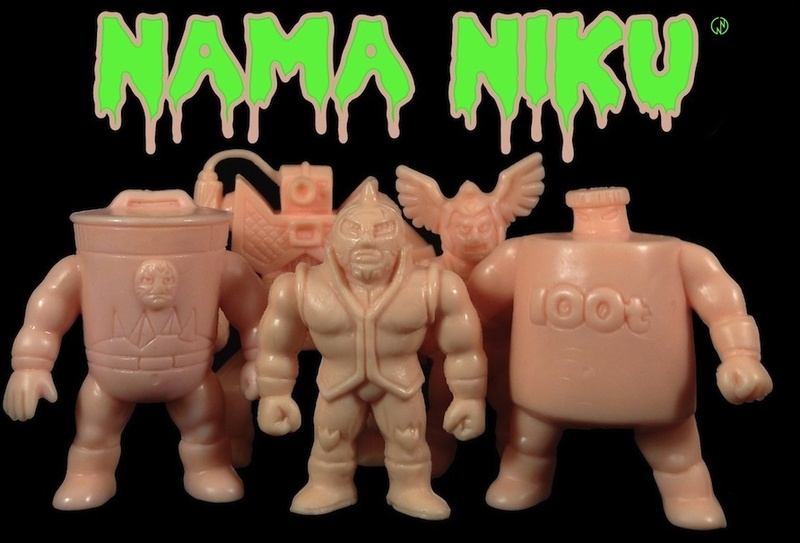 Art Junkie Tokyo: Kinnikuman and Nama Niku Approved! Nama Niku's Color of Choice! Overseas fans can easily order these directly from Art Junkie! AJ will ship overseas and takes PayPal if you contact them via email with no problem at all! Nama Niku with Art Junkie at the NNWA Keshi Event in Tokyo! Rare and Uncommon Kinkeshi on Display. Inventory updates daily, so check back often! The Mandarake Microkan in Nakano offers the best selection of Kinnikuman items, period. From Kinkeshi and rare vintage items, to hard to find modern day goodies, they have it all. 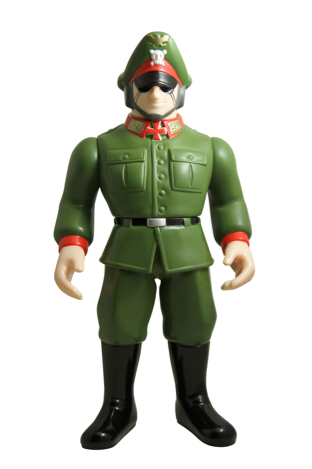 CCP, Five Star Toy, Bandai, Microman, and Romando are all part of their featured lines. 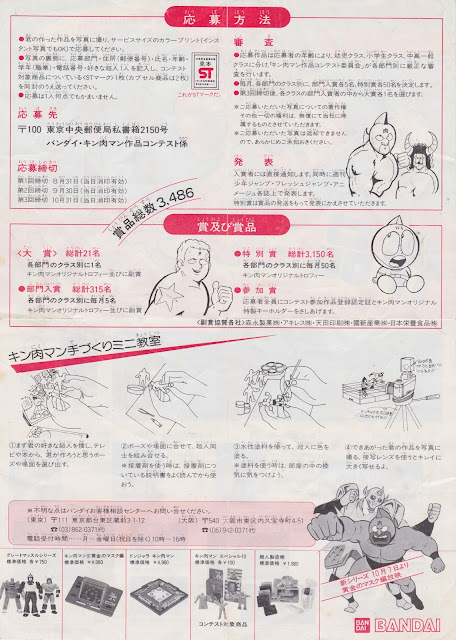 The Microkan staff knows more about Kinkeshi and Kinnikuman than just about anyone around. More importantly, they are also fans of the series, and can point you in the right direction regardless of what collectibles you are looking for. Not sure what Mandarake currently has in stock? Check out their English site's massive selection of current Kinnikuman Items via super simple online cart and checkout functionality. Keep in mind however that the vast majority of their Kinkeshi items are not posted online. For those, be sure to follow the official Microkan twitter feed for real time inventory updates. Any items featured via twitter are available for purchase through their English Contact Form. Most uncommon Kinkeshi items move very quickly. Figures often fly off the shelves the very same day they arrive, so act fast! Once you send your item inquiry, Mandarake will respond with product availability, pricing and shipping quotes. Looking for something special or hard to find? Friendly English speaking staff are more than willing to help you look for anything you need. PayPal and fast overseas shipping is no problem! Everything in this case is eligible for online sales! Just shoot them a message via their English Contact Form. Hunting for specific Kinkeshi to complete your collection? Look no further! These GIANT Kinkeshi grab bags are a fantastic value and can all be shipped overseas! 30 + Dekakeshi for under $10? Insane! Romando Figures Galore! Chances are if you are looking for it, they have it.